BAIKUNTHA Ekadashi or Pausha Putrada Ekadashi falls in the month of Margaseersha or Paush. This is observed with all solemnity in the temples of Lord Vishnu. Fasting is prescribed on all Ekadashis, that is, the 11th day of the lunar fortnight, twice a month. In this Kali Yuga, even if just one Ekadashi is observed with dispassion, faith and devotion, and if the mind is wholly fixed on Hari, one is freed from the rounds of birth and death. There is no doubt about this. The scriptures give us their assurance on this point. Devotees fast on this day, observe vigil the whole night and do Japa, Hari Kirtan and meditation. Some do not take even a drop of water. Those who are unable to fast completely can take some light fruit and milk. Why No rice on Ekadashi? Rice should not be taken on Ekadashi days. This is very important. The sweat that fell down from the head of Brahma assumed the form of a demon and said to the Lord, “O Lord! now give me an abode to dwell.” Brahma replied, “O demon! go and dwell in the rice particles eaten by men on Ekadashi day and become worms in their stomach.” For this reason rice is prohibited on Ekadashi. 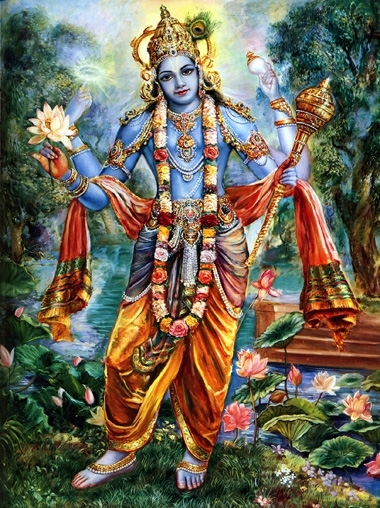 If one observes the Ekadashi fast regularly, Lord Hari is propitiated. All sins are destroyed. The mind is purified. Devotion gradually develops. Love for God becomes intense. For the devotees of Lord Vishnu, every Ekadashi is a very sacred day. Nowadays, many educated people do not observe fasting on this sacred day. This is due to the impact of the dark, vicious, materialistic forces. When the intellect develops a little, people begin to enter into arguments and unnecessary discussions. Intellect is a hindrance on the spiritual path. They who have not developed the heart but who have developed their intellect begin to doubt and question at every step. They are led astray. They want a “why” and a “how” for everything. They want “scientific” explanations for all phenomena. God is beyond proofs and presumptions. One has to approach religion and the scriptures with great faith, reverence and purity of heart. Then only are the secrets of religion revealed unto him like the apple in the palm of one’s hand. The chief object of fasting is to render the system calm so that one is able to practise meditation rigorously during that period. Withdraw the senses and fix the mind on God. Pray to God to guide you and to throw a flood of light on your spiritual path. Say with feeling: “O God, guide me! Protect me, protect me! I am Thine, I amThine! Forsake me not!” You will be blessed with purity, light and strength. Follow this Sadhana on the days that you fast, Ekadashi days in particular. Fasting is one of the ten canons of Yoga. However, avoid excessive fasting. It will produce weakness. Use your common sense. If you cannot fast for the full twenty-four hours, at least fast for 10-12 hours and then take some milk and fruit. Gradually increase your fast to 15 hours and then up to 24 hours. Fasting makes a man strong, both spiritually and mentally. In his code, the Manu Smriti, the great Hindu lawgiver, Manu, prescribes fasting for the removal of the five capital sins. Diseases that are pronounced incurable by doctors are cured by fasting. 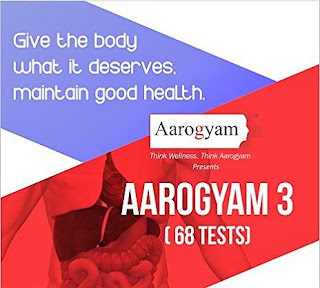 Occasionally, a complete fast is greatly desirable for all to keep up good health, to give adequate rest to the internal organs and maintain celibacy. All diseases have their origin in overeating and verily fasting is the only method to cure this. Complete fasting helps to control sleep. Taking recourse to tea to control sleep is not desirable. You will not gain any spiritual strength if you depend on an external agent. During fasting avoid all company. Live alone. Utilise your time in Sadhana. When breaking a fast do not take a heavy meal or a heavy food that is hard to digest. Milk or some fruit juice is beneficial. Moderation in eating and withdrawal of the senses in Yogic meditation are the obverse and the reverse of the same coin. Moderation consists in taking a little food or water just to keep the body in good working order. In the Gita you will find: “Verily, Yoga is not for him who eats too much, nor who abstains to excess, nor who sleeps too much, nor to the excessively wakeful”. The Yogi withdraws his senses from the particular sense objects. The senses are made to turn into or get involved into the mind. When one is fully established in these two practices, supreme control of the senses is achieved. King Ambarisha was a great votary of Lord Hari. He practised the Ekadashi Vrata for a year. Ambarisha obtained His Grace. On one occasion he fasted for three consecutive days. He was about to break the fast when Rishi Durvasa appeared as his guest. The king received him with due respect and requested him to take his meals. The Rishi agreed and went to bathe in the river. The king waited patiently for a long time, but the Rishi did not return. Time was running out; if the king did not eat anything before the day ended his Vrata would not bear fruit. And if he ate, he would be showing disregard to the Rishi. As a compromise the king took a little water to serve both the conditions. When Durvasa returned from his bath, he knew exactly what had happened, and was angry. He tore a hair from his tuft and charged it to kill Ambarisha. The king was unmoved. The discus (Sudarshan Chakra) of Lord Vishnu destroyed the power of the hair of Durvasa. It now followed the Rishi wherever he went and tried to destroy him. Rishi Durvasa went to Brahma and Shiva for help, but to no avail. He went to Lord Hari who said to him, “I am dependent on My devotees. My heart is in the possession of My devotees. Go thou, therefore, to Ambarisha; beg his pardon and thou shalt be saved.” Ambarisha thereupon prayed to the charged hair to desist from its course, and saved the Rishi. Durvasa thanked him from the bottom of his heart.